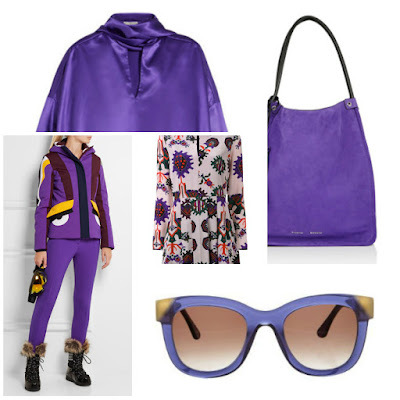 Have you updated your fall wardrobe yet? 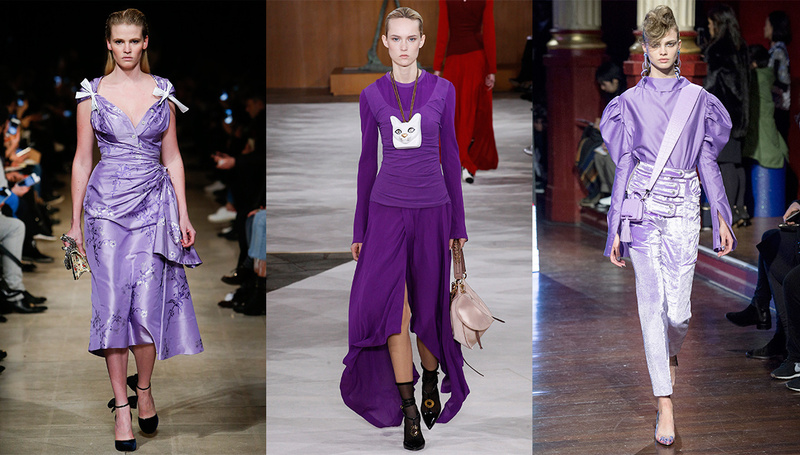 Fashion Studio Magazine selected a couple of stylish pieces in this season's most desirable colour - purple. Enjoy your shopping! 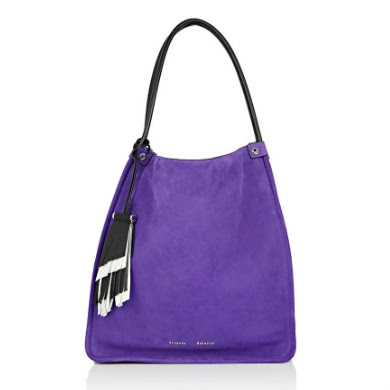 Proenza Schouler amethyst nubuck medium tote bag styled with black and white fringed key-ring bag charm. Metal logo at baseline. Gusseted sides. Black lacquered edging. Polished silvertone hardware. Lined with black suede. Zip pocket at interior. Rolled leather handles. Magnetic closure. Includes removable key-ring bag charm. Made in Italy. 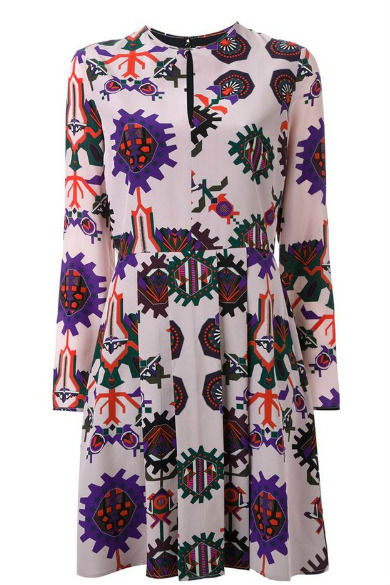 Multicolour silk pattern print blouse dress from MSGM. Made in Italy. 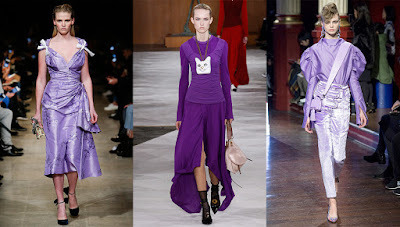 Demna Gvasalia unveiled this ultraviolet blouse at his highly anticipated runway debut for Balenciaga. 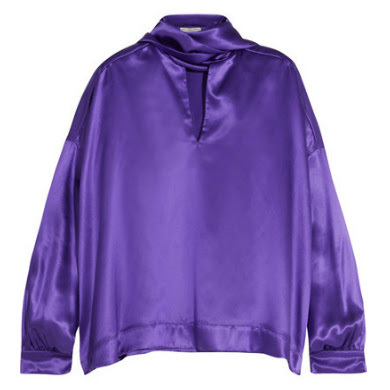 Made in Italy from swathes of lustrous silk-satin, it's cut for a loose silhouette and finished with languid neck ties. Emulate the show styling with bold tailoring. 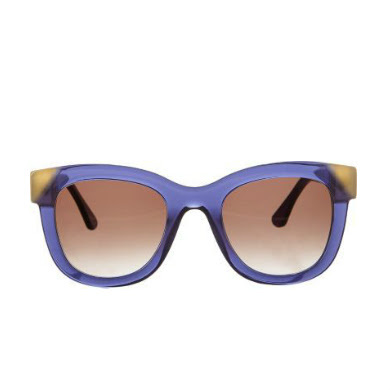 Thierry Lasry handmade purple translucent chunky acetate Chromaty sunglasses styled with beige hinges. Handmade. Oversized round shape. Made in France. 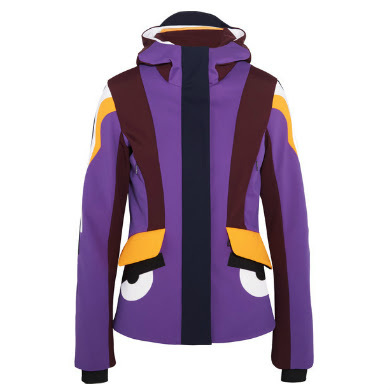 Fendi's bright-purple ski jacket is a playful yet functional choice for the slopes. Crafted from padded shell and fully lined for extra warmth, this slim-fitting piece is detailed with the label's signature 'monster eyes'. It's complete with a detachable hood to protect you from wet, snowy days and zipped pockets for a pass or room key.